Marmèn Spider Cuff Bracelet: While there are some arachnid designs out there real enough to scare your friends silly, jewelry is not meant to frighten – it’s meant to impress! Luisa via Roma for $621. McQ Alexander McQueen Bug Ring: Nothing gives you a fright like a big price tag, so for Halloween get McQueen’s savagely beautiful style from the diffusion line. On Shopbop for $35. Amedeo Gold-Plated, Agate, and Cornelian Owl Cameo Ring: The wise old owl is a wise investment. Cameo jewelry has been around since ancient times, proving it’s a style that outlasts all trends. 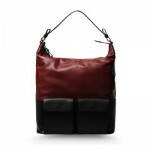 On NET-A-PORTER for $1,800. Tom Binns Co. Vert Rhodium and Silver-Plated Swarovski Crystal Necklace: All right, this candy corn Tom Binns might be an October special in your wardrobe, but every once in a while there’s a seasonal treat that you just can’t deny yourself. On NET-A-PORTER for $2,075. Creart II Spider Bracelet: If it weren’t for the brown Swarovski crystals, this 24-legged creation might truly terrify. 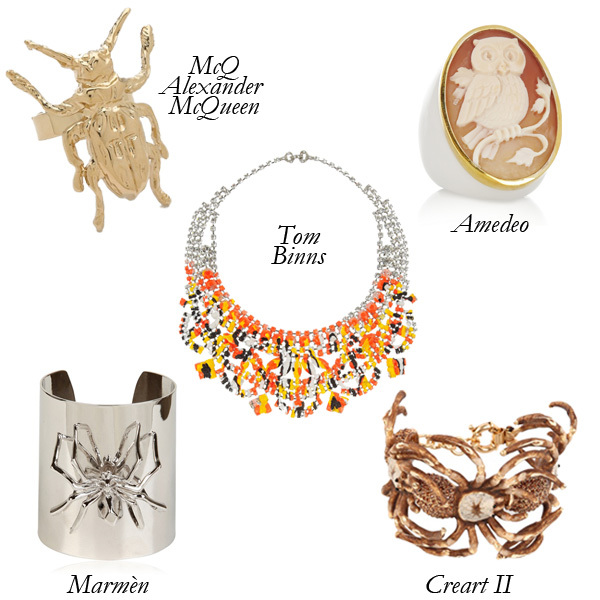 The Italian designer also crafts serpentine jewels for those with arachnophobia…On Luisa via Roma for $1,242.